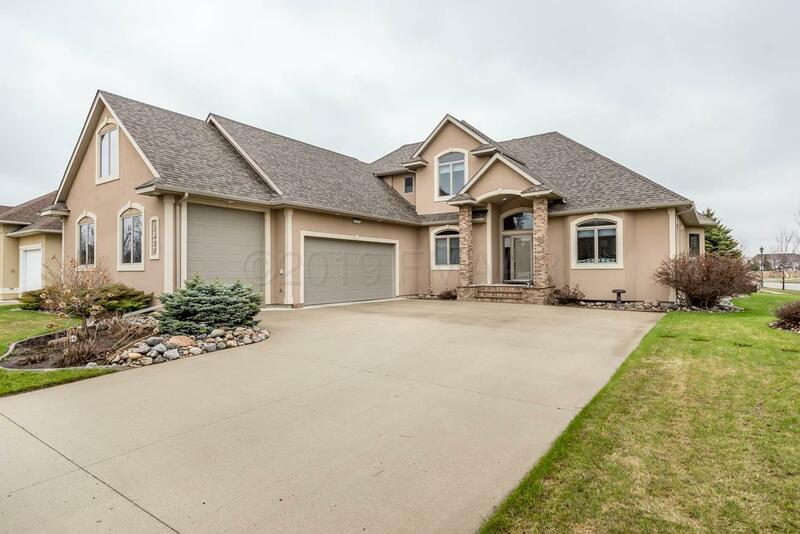 Immaculate custom built 2 story home in Charleswood. One owner. Grand 2 story foyer with curved staircase. Main floor boasts open eat-in kitchen with island, tiled backsplash, adjacent dining room, living room with gas f/p. Formal dining or flex room. Sunroom with deck access. Office with built-in's. Main floor master suite, double sinks, WIC, jetted tub. Main floor laundry & mudroom with storage. HUGE loft area above the garage, endless opportunities here!! 2 beds up, loft could be used as a third. Unfinished basement - so much potential (over 1400SF). Great amenities; central vac, surround sound (inside and out), sprinkler system. Large corner lot w/mature evergreens, maint free deck, hot tub. Garage is heated, finished, workbench, floor drain and 3rd stall tall RV stall.